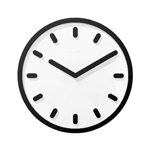 The Nomon Oj clock is a simple and cost effective way to turn a blank wall into a feature. 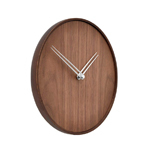 Expertly designed by José María Reina, this clock has been handmade in Spain with German mechanisms. 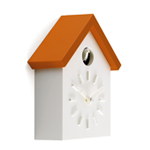 Wonderfully simple in design, it consists of narrow hands with dot hour markers and is available in a range of stylish colours to complement any decor.